The Federal Council approved an agreement with the United Kingdom (UK) on the rights of citizens following the UK’s withdrawal from the EU (Brexit). The agreement safeguards the rights of Swiss and UK nationals acquired under the Free Movement of Persons Agreement (e.g. residence rights). This measure is part of the Swiss government’s ‘Mind the Gap’ strategy, the purpose of which is to ensure the acquired rights and obligations of citizens after Brexit. The bilateral agreements between Switzerland and the EU will no longer apply with the UK following the latter’s withdrawal from the European Union. The Federal Council therefore wants to ensure the rights and obligations existing between Switzerland and the UK after Brexit (Mind the Gap strategy). All existing rules and agreements continue to apply in full until the UK’s formal withdrawal from the EU. The UK’s withdrawal impacts the Agreement on the Free Movement of Persons (AFMP). 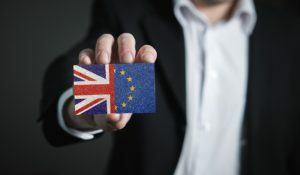 The recently approved agreement preserves the rights, after Brexit, of Swiss and UK citizens acquired under the terms of the AFMP, for example the right to live in the respective foreign country. Services being provided in either Switzerland or the UK can also be continued under the terms of the new agreement. Furthermore, the agreement regulates social security claims and the recognition of professional qualifications. The rights granted in this agreement apply indefinitely. However, the terms of the agreement do not apply for UK and Swiss citizens who move to the respective foreign country after the AFMP ceases to apply. Presuming the withdrawal agreement is accepted by both the EU and the UK and comes into effect on 29 March 2019, there will be a transition period (provisionally until the end of 2020) during which the existing provisions of the AFMP will apply for relations between Switzerland and the UK. The agreement approved today will in this case not come into effect until after the end of the transition period. If the withdrawal agreement between the EU and the UK is not approved, the UK will leave the EU on 29 March 2019 without an agreement. In this case, the agreement between Switzerland and the UK will provisionally apply from 30 March 2019. The agreement was approved by the Federal Council on Wednesday, 19th of December. The Federal Council will consult the relevant parliamentary committees on the provisional application of the agreement before signing it. At the end of 2017 around 43,000 UK citizens were living in Switzerland, and about 34,500 Swiss citizens were resident in the UK. Last year the UK was the fifth largest export market for Swiss goods (CHF 11.4 billion). Switzerland is also a major partner for the UK: after the USA and China, it is its third largest export market outside the EU.